The AARP report released earlier this year, “Nightmare on Main Street: Older Americans and the Mortgage Market Crisis,” revealed some startling statistics regarding seniors and their financial situation. As a result of the nation’s real estate crash, many older ones now owe more on their homes than they are worth. As housing prices increased, older homeowners took out home equity loans and second mortgages. Retired seniors are now carrying more mortgage debt than ever. According to AARP, older middle-class borrowers with incomes ranging from $50,000 to $124,999 accounted for 53 percent of foreclosures in 2011. Borrowers with incomes below $50,000 made up 32 percent of all foreclosures. 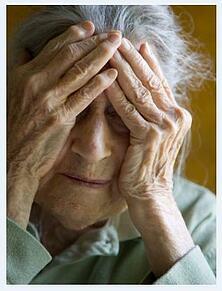 Low- and middle-income seniors facing foreclosure have limited options. "If they're lucky,” says Gerson, “Maybe they move in with a relative or rent a room somewhere. But most fear that they're going to be stuck in some institution at the end of their years." Seniors may also worry they won’t be able to take advantage of a dependable home care software program if they become displaced. While the government tries to come up with a solution, ClearCare continues to offer an affordable home care system and home care software program for seniors receiving care in their own home – be it their life long residence or a reduced cost senior housing complex. Whether an older one lives in his own home, or with a relative, ClearCare’s home care software guarantees safe and quality care. For those in dire financial straits, certain Medicaid programs provide assistance so seniors can still receive home care services. Working with a reputable home care agency – preferably one that offers ClearCare’s home care system – is often the best financial decision. Other housing options like assisted living facilities or nursing homes may be unnecessary and costly; especially for seniors already struggling to keep the lights on. In addition, a sophisticated telephony system requires caregivers to clock in using the client’s home telephone. This assures family members that caregivers are at their loved ones home as scheduled. No other home care system offers such superior features, which also includes 24/7 real-time visibility to each loved one’s daily activities, which can be a comfort to family members of seniors struggling with effects of aging as well as the stress of severe financial struggles.